We made the most of the Labor Day weekend to hop in the car, open the roof and roll down Route 66. The Make it Mid-Century HQ is located just off of one of the spurs of historic Route 66. (Read all about the number of wacky alignments Route 66 has taken through St. Louis here.) 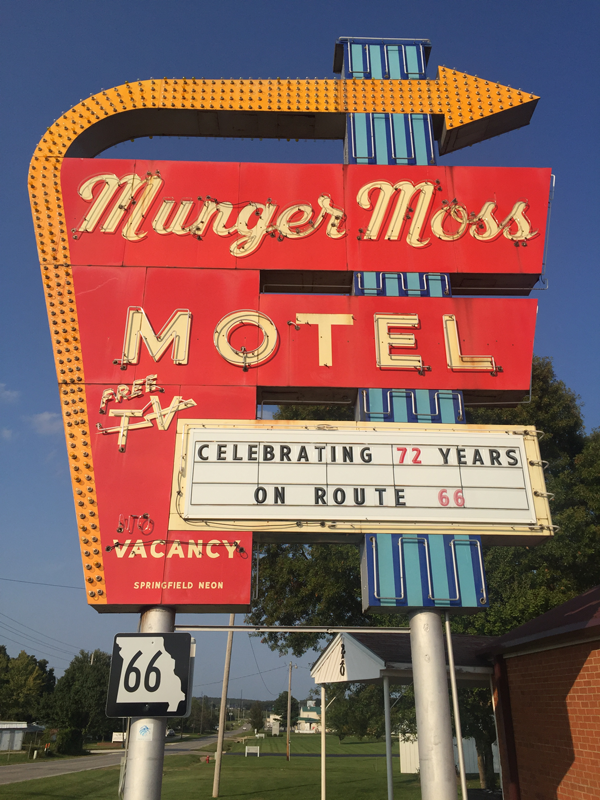 We decided to head west on Route 66 as far as the day would take us and we documented what we hope is only the first part of our travels over on the blog. It's amazing what you might just stumble upon when you get out and about. 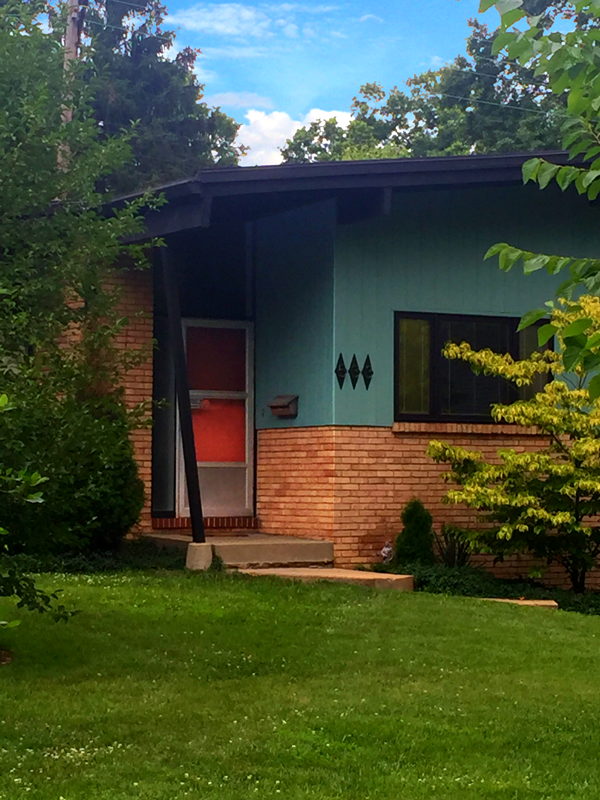 I discovered this little dead-end street in the suburbs of St. Louis and found an almost pristine grouping of Harris Armstrong designed homes. While all of our kits come with step-by-step instructions, we wanted to reinforce the notion that you can do this. We put together this blog post with photographic instructions and an illustrated tool list for anyone who might be questioning their skills. 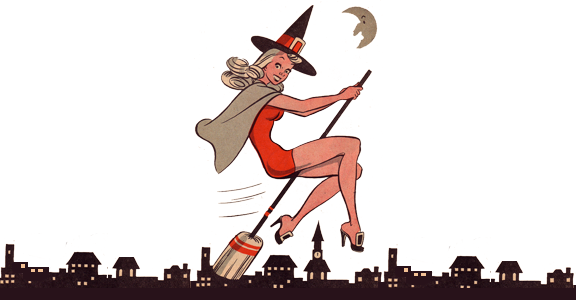 Looking for costume ideas? Look no further than the mid-century architect Charles Eames and his paper masks designed for children. I'm not sure if the head on the top left is supposed to be Mr. Eames or not, but that bowtie sure looks suspicious. Maybe some decorations? You can't go wrong with pink flamingos. Originally designed by Don Featherstone in 1958, the pink lawn flamingo is synonymous with 1950's kitsch. 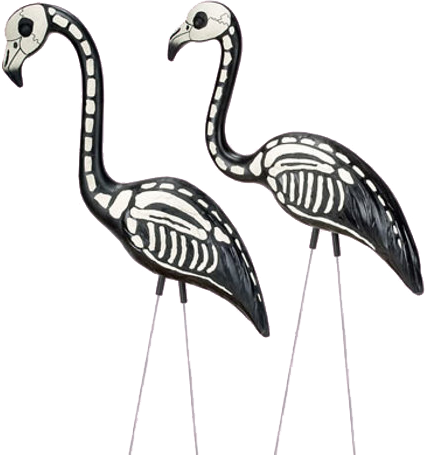 For some Halloween-inspired kitsch, try these spooky skeleton flamingos in your front yard. 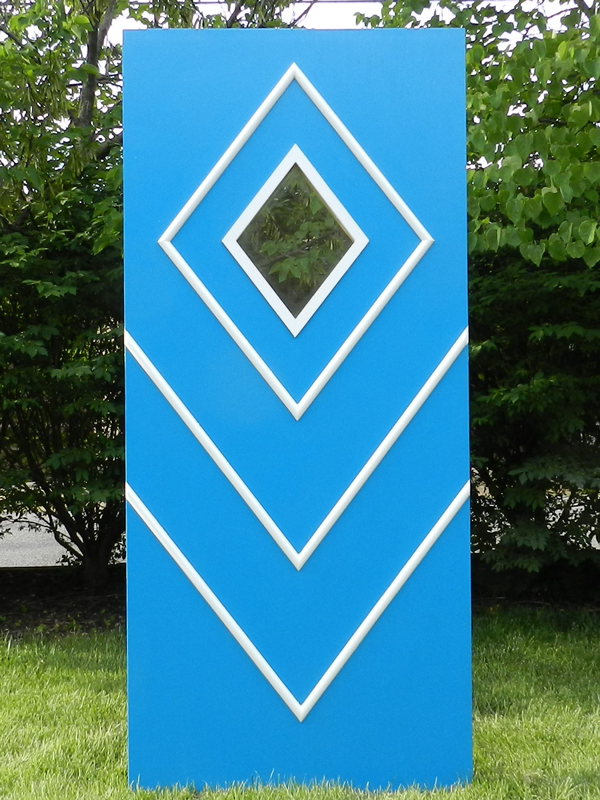 We aren't 100% ready for prime time, but we wanted to introduce you to the newest member of our lineup: mid-century-inspired shutters. We're working out the final details of manufacturing now, but our shutters should be available to purchase within the next month or two. Like all of our products, we'll have some standard designs, but if there is a design that you would like to replicate or a different design that you have in mind, we'd be happy to create custom work just for you. 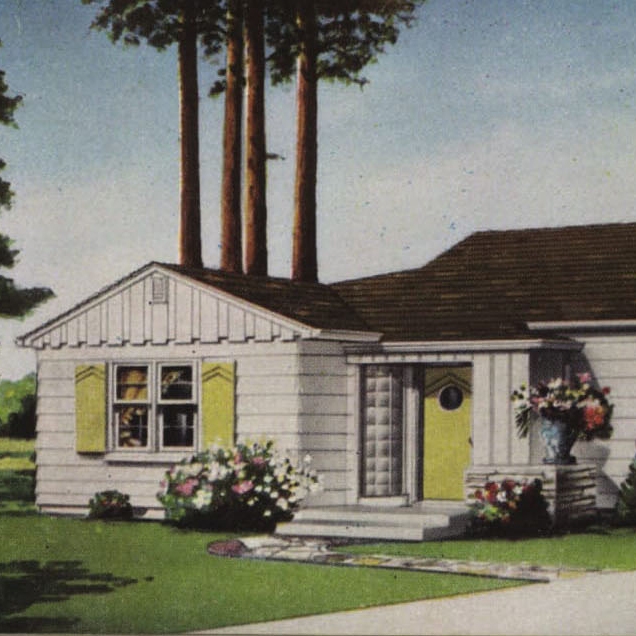 Don't think shutters are period-correct on a mid-century home? 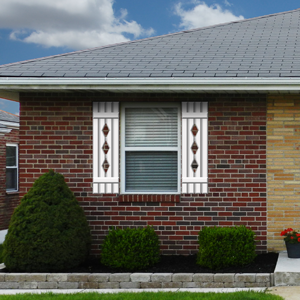 Do you shudder over shutters that are decorative? That's all for this month. Be sure to keep in touch. We love hearing from you! What products do you wish we would carry? What suggestions do you have for any of our existing products? Drop us a line or connect with us on any of our social media locations below. 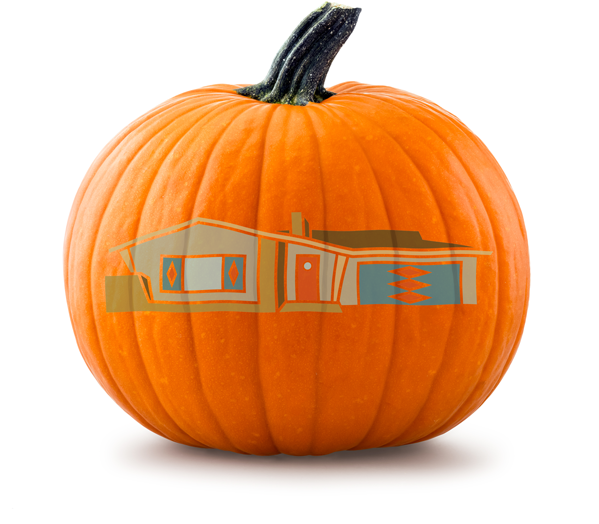 Have a wonderful October! Forwarded email? Not on our email list? Click here to join. Copyright © 2017 Make it Mid-Century, All rights reserved.